Nablus. Palestinian Territories. 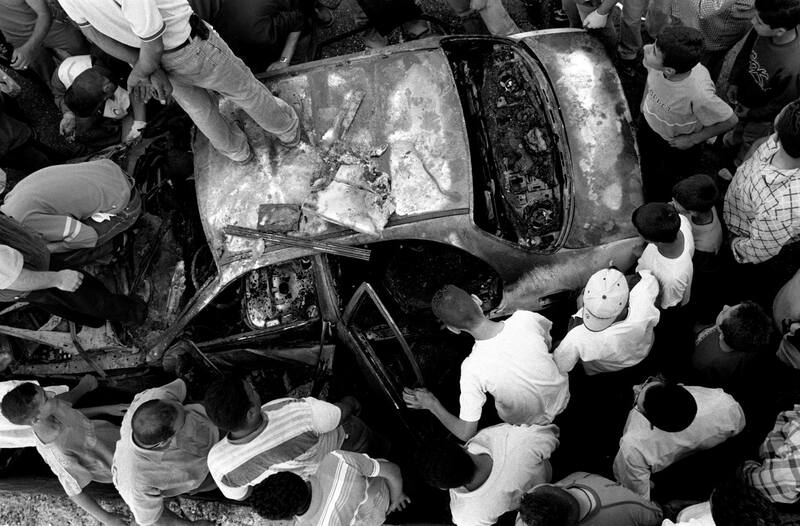 2004 Local people swarm around a car that has been hit by an Israeli airstrike, killing several people suspected of being militants.